Lightweight and stylish, the Aspire 1 features a beautiful 14” Full HD screen and the latest WiFi for fast connectivity and reliability that you can count on wherever you venture. The Acer Aspire 1 laptop will inspire you to be more productive at work, school or play because it’s super user friendly, ultra-portable and offers great performance. No wonder Acer laptops mostly hit a spot in top laptop rankings! The Acer Aspire 1 becomes popular this year. 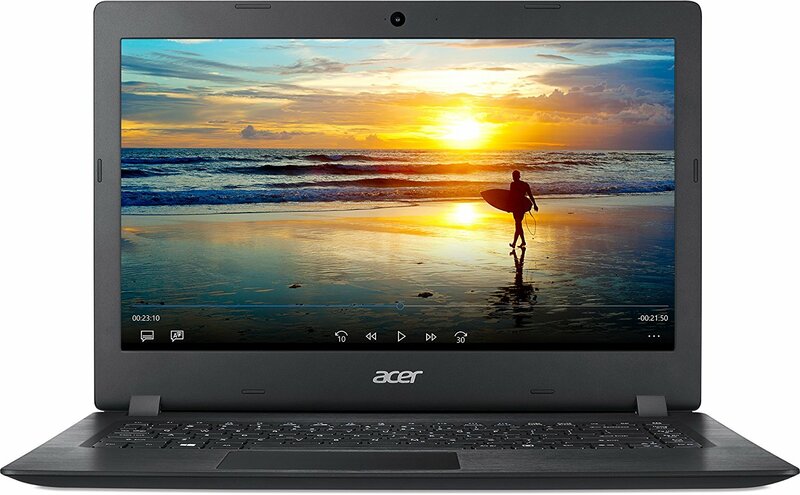 Acer Aspire 1 A114-31-C4HH Laptop comes with these high level specs: Intel Celeron N3450 Quad-Core Processor (Up to 2.2GHz), Windows 10 Home, 14″ Full HD (1920 x 1080) widescreen LED-backlit display, Intel HD Graphics 500, 4GB Onboard Memory, 32GB Internal Storage, Secure Digital (SD) card reader, Two Built-in Stereo Speakers, 802.11ac Wi-Fi featuring MIMO technology (Dual-Band 2.4GHz and 5GHz), Bluetooth 4.0, Webcam (640 x 480), 1 – USB 3.0 port, 2 – USB 2.0 ports, 1 – HDMI port with HDCP support. The classy look of the Aspire 1 is matched only by the convenience of its thin, easily portable design. The delicate cross-hair brush pattern delivers a beautifully inviting tactile finish. The easy-to-use Precision Touchpad is more responsive than traditional touchpads, accurately sensing the fingertips and movements. It also fully supports the new Windows 10 features. With a battery life of up to 9 hours, your device is designed to stay at your side for the entire day. No need to carry along a bulky charger. Filter out eye-straining blue light and work longer in comfort. Acer BlueLightShield technology allows you to adjust levels of blue light to lessen the negative effects of blue light exposure.